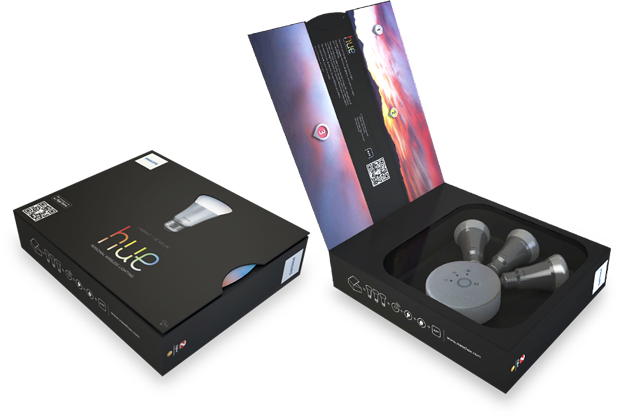 The LED technology inside every hue wireless LED bulb is a little bit special. 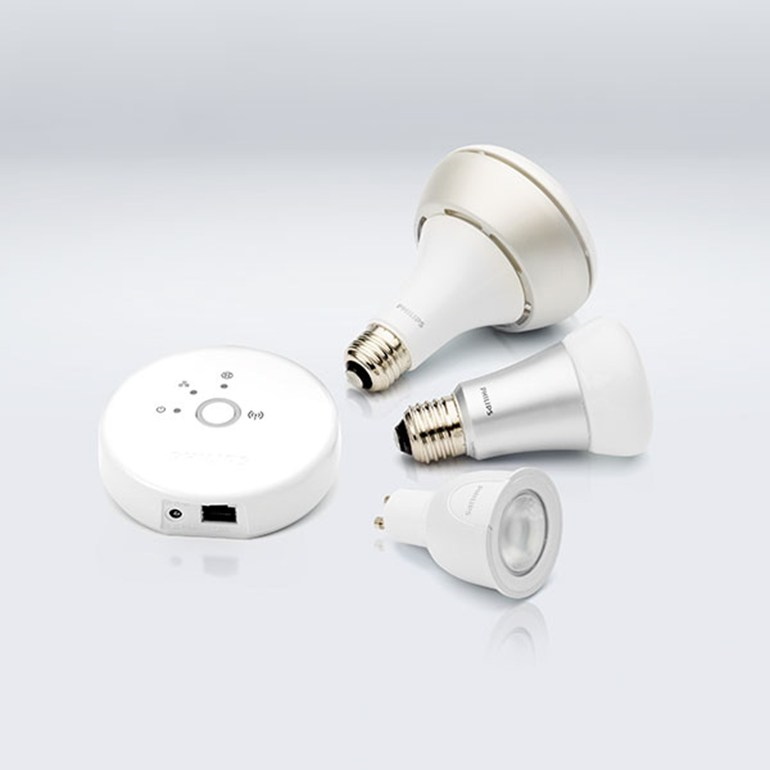 That’s because it can display different tones of white light – from warm yellow white to vibrant blue white. Of course, it can also recreate any color in the spectrum. Naturally. The hue bridge is where all the clever stuff happens. 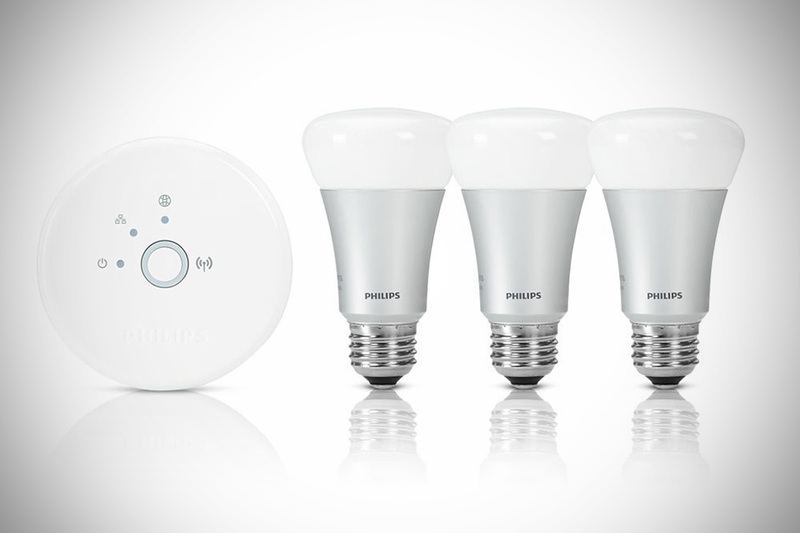 It’s the ‘bridge’ between your bulbs and your smart phone app. 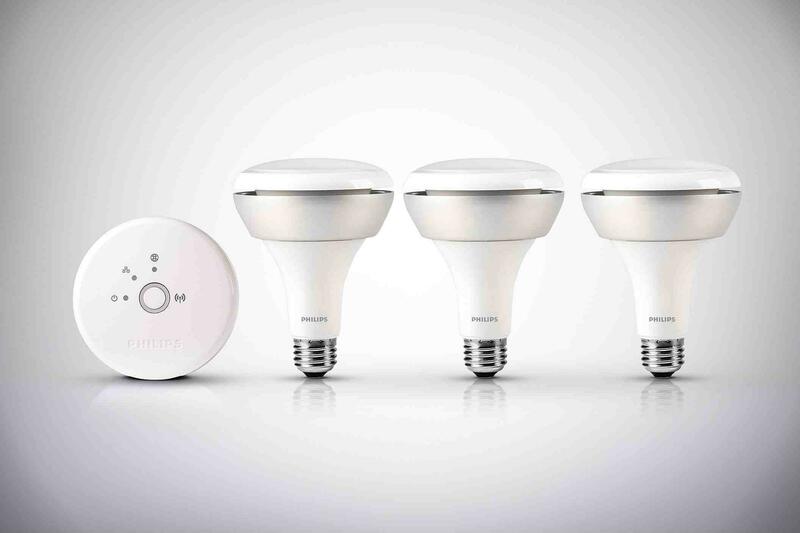 And it can link up to 50 bulbs at a time. To connect your bridge, first power up the bridge and then connect it to the back of your wireless router, using the network cable provided. The blue lights will turn on one by one. When all four lights stay on continuously, you’re ready for action.